Humber’s student government passed an $11.13-million budget for the 2017-18 fiscal year this past week. 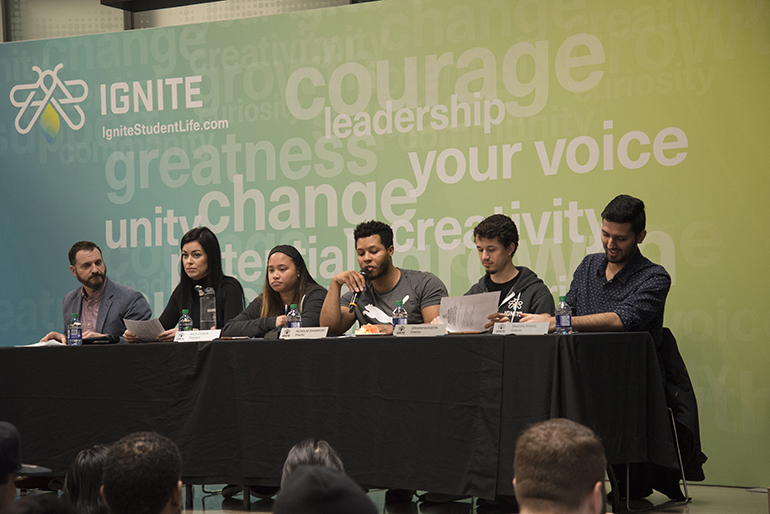 IGNITE hosted its Annual General Meeting at North campus which was streamed live to Lakeshore campus to also pass its working agendas and ratify the results of the 2017 IGNITE elections. The budget document failed to provide exact explanations of spending and allotments but rather relied on broad strokes in explaining how IGNITE spends its budget. Services accounted for 60 per cent or about $6.7 million of the budget’s allocation, administration costs accounted for 17.5 per cent or about $1.94 million and events accounts for $1.15 million, according to IGNITE. She said the “Next Level Project,” once approved by IGNITE board, will be running for the next three years and she encouraged Humber students to interact with the project and with the work of IGNITE. “Our first priority is to support you to get the most value and experience as a student,” said Ercole Perrone, executive director of IGNITE. “Our three goals are making your life on campus more affordable, making your campus more comfortable, improving your academic experience,” Perrone said. He said the project will help students’ life on campus to be more affordable by capitalizing on students’ tuition, textbooks and academic materials and parking. Perrone promised to make students’ campuses more “enjoyable and comfortable.”“We support your growth as a person, the areas we are going to prioritizing are health improvement and financial security, making food and housing more accessible,” Perrone said. Perrone said the expenditures were divided into six categories, which are governance, administration, events, services, communications and capital. “The majority of this fund is for supporting students’ wellness, more flexible health and dental coverage,” he said, explaining why services accounts for the biggest amount of the operating budget. The meeting ratified the results of the 2018 IGNITE Elections with Monica Khosla as the new president, Jeremy Largo-Afonso as vice president of North campus, Graham Budgeon, vice president Lakeshore and Maheen Nazim, vice president of University of Guelph-Humber.